“Field of Dreams” has to be one of my favorite movies of all time. 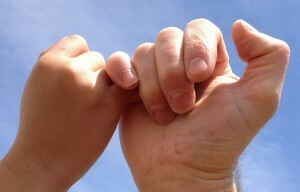 Pinky swear to be there for your children. It manages to combine seemingly disparate themes (baseball, faith, redemption, persistence) in a great narrative that speaks to me on many levels. I hadn’t thought of the movie in years, but as I brainstormed ideas to write about for a Father’s Day piece, one line from the movie popped into my head. No, it isn’t any of the iconic messages that the mysterious voice whispered in Ray Kinsella’s (Kevin Costner’s) ear as he walked through his cornfield or sat in the grandstands of Fenway Park. It was a line Ray said toward the end of the movie when Shoeless Joe Jackson invited Terrence Mann (James Earl Jones) into the cornfield with the rest of the old-time baseball players instead of Ray — the man who risked everything listening to that mysterious voice. In a way, that self-centered mentality seems to have become the focus of Father’s Day. It’s all about us as dads. Television ads tell our family members that they need to buy us the newest tool or barbecue gadget to show what we mean to them. And if Dad isn’t into tools or barbecue, he must love golf, so why not buy him a new club or this polo shirt? I’ll tell you why. That’s the wrong focus for Father’s Day. Father’s Day shouldn’t be a day that we dads set aside for our children, wives and community to honor us. It should be a day we dads take a breather from the chaos of our everyday lives and rededicate ourselves to the people who need us most: our children. But too many men allow the busyness of their lives to interfere with spending time with their children. We’re too busy on the weekend doing chores, running errands, or playing golf to spend quality time with our kids. Many dads even believe they have earned time away from their children because their jobs are so stressful. They need 18 holes to unwind. What’s worse, many fathers have abandoned their children. In fact, 24 million kids live in a home without their biological father, according to the National Fatherhood Initiative. 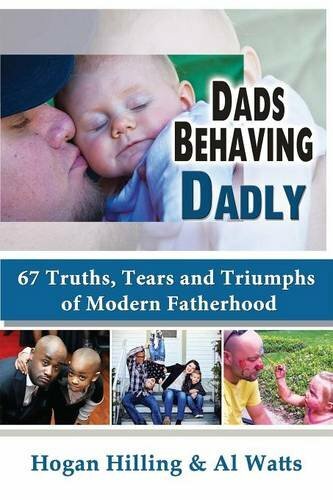 One out of every three children in America today is growing up fatherless. The results are devastating. Children who grow up in fatherless homes are more likely to live in poverty, abuse drugs and alcohol, end up in jail, and much more. It’s an underreported and underappreciated epidemic, but we know the cure. We just have to be there. That’s it. No need for billions of dollars of research. Show up, and be the man your children need you to be. You don’t need to be rich. You don’t need to be a hero. And you don’t need to be a superstar. So on this Father’s Day, don’t wait for your children to honor you. Honor them by being the father they need you to be. Make a commitment, and be bold enough to show it to the world on your Facebook or Twitter profile with this Twibbon. What’s a Twibbon? you ask. It’s a little graphic you superimpose onto our Facebook and Twitter profile to show your support for a cause. It’s a cyber-ribbon, if you will. The one I created is of me making a pinky swear with Gavin at the park one day. As any kid will tell you, it’s one thing to promise you’ll be there. It’s another thing to pinky swear. They know you mean business if you pinky swear. So, dads, follow this link to add the image to your profile picture as a way to promise to be there and play an active role in the lives of your children. Moms, add the image to your profile picture to support the father of your children as he strives to play an active role in the lives of your children. It’s never too late to promise your children you’ll be there. Just pinky swear. 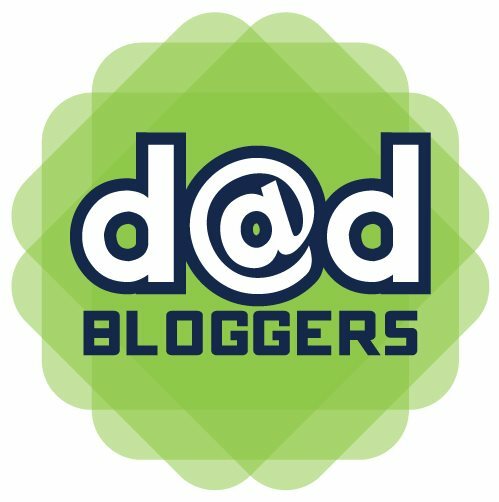 This entry was posted in Blog and tagged Engaged fatherhood, Father's Day, Fatherlessness. Bookmark the permalink.